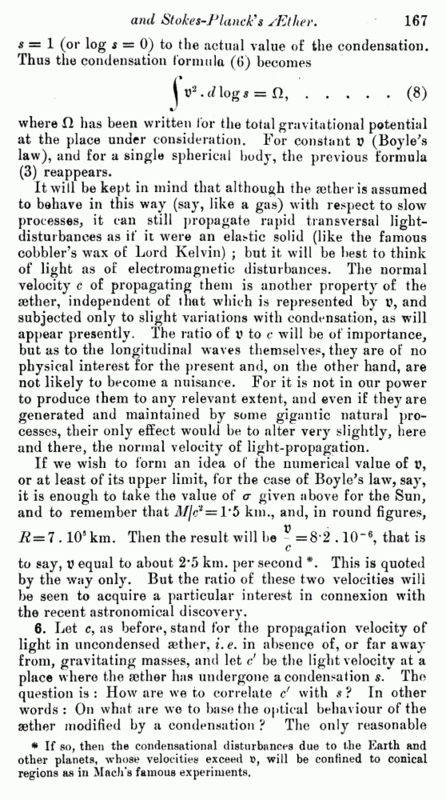 Michelson-Morley experiment a pronounced positive effect. But enough has now been said in illustration of the formula* for the condensation and for the slip. 5. 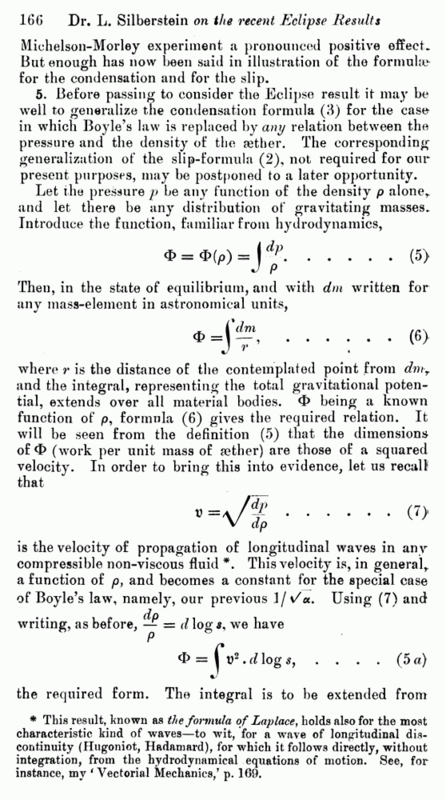 Before passing to consider the Eclipse result it may be well to generalize the condensation formula (3) for the case in which Boyle’s law is replaced by any relation between the pressure and the density of the aether. The corresponding generalization of the slip-formula (2), not required for our present purposes, may be postponed to a later opportunity. * This result, known as the formula of Laplace, holds also for the most characteristic kind of waves—to wit, for a wave of longitudinal discontinuity (Hugoniot, Hadamard), for which it follows directly, without integration, from the hydrodynamical equations of motion. Sec, for instance, my ' Vectorial Mechanics/ p. 169.